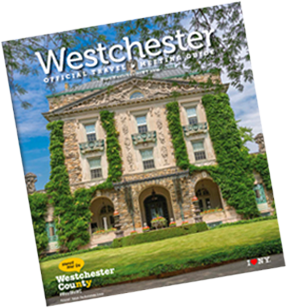 Mid county is the beautiful and unique hub of Westchester that offers both rural beauty and urban charms, making it the perfect destination for visitors. It contains city centers like White Plains, the county seat that features upscale shopping at The Westchester or at the Galleria at White Plains. It boasts a vibrant nightlife, unique dining experiences and hotels for a broad range of tastes and budgets. City Center at White Plains houses a 15-screen movie theatre, a variety of retail stores and the White Plains Performing Arts Center. 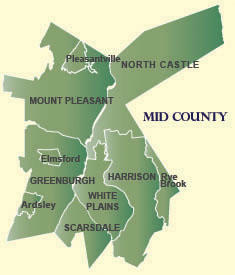 In the mid county region you’ll also find quaint suburbs, like Scarsdale and Rye Brook. Visitors will find world-class accommodations at the Hilton Westchester in Rye Brook or cultural attractions that include the Jacob Burns Film Center in Pleasantville.